Add Black Dragons to the list of teams that have blown a massive lead in the finals. Ence Esports were in a tough position in the year two, season 3 Rainbow Six: Siege Pro League finals. They were up 1-0 in the series after a strong showing on Oregon, but the other team was starting to gain a footing against them. Black Dragons, their opponent, were sitting 4-0 in the second map, a single round away from evening out the series. In the course of six rounds, Ence pulled the score all the way from 4-0 to 6-4, winning the finals in a grand comeback. It started in the fifth round, when Juhani “Kantoraketti” Toivonen happened to accidentally fire through a doorway his teammate was strafing across. For other teams, that might have been morale defusing at best. But Ence bounced back, led by Toivonen who chalked up double-digits in kills (on the enemy team) in the coming rounds. They won four straight to push the match to overtime, and then had to take two more. While Siege is a careful game of inches at times, it can also get loud, fast. The last moments of the final round went from tactical positioning to firefight in a snap, as numbers on both sides dropped until finally, Ence emerged victorious. 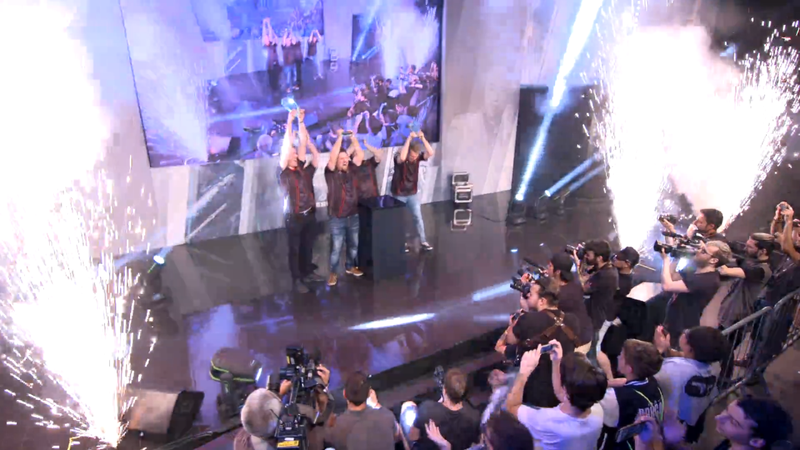 This was a huge win for Ence, who came up short at the year two, season 2 finals in August, finishing 5th-8th. The team takes home a $75,000 prize and the satisfaction of knowing that they spoiled a 4-0 lead in the finals.